The Middle Stage: Houshang Moradi-Kermani's "The Vice-Principal", and Literature from the "Axis of Evil"
"The Vice-Principal", a story by the Iranian writer Houshang Moradi-Kermani, is one of the most tender and sublime comedies I've read in a long time. It takes as its storyline a conflict between a schoolboy, Majid, and the vice-principal of the school, over an essay Majid has written on a familiar school topic: "Who Renders The Greatest Service to Mankind?". While the writing is very swift and alert, and there are laughs on almost every page, the story unfolds to become a meditation, on the one hand, on the conflict between oppressive authority and its subjects, and on the other, on the power of the moral imagination to enter into and empathise with the predicament of another. Majid and the other boys of the class have been asked to write an essay by the ferocious vice-principal, who always carries a switch in his hand and a supply of candy in his pocket - not for the children, but for himself, as he is trying to quit his smoking habit ("Whenever he'd get the craving for a cigarette he would toss a few pieces of candy down the hatch instead" - all the charm of that sentence is contained in the phrase "down the hatch", with its image of something disappearing into the hold of a ship). He says grandly to the children that the question of who renders the greatest service to mankind is "entirely up to you", but upon doing the work - composition is his favourite subject, for he wants to become a writer when he grows up - Majid finds that this is not the case. However, if we think a little, we find there is someone in this society who serves men much. He puts in an abundance of effort and if one day he should turn his back or not be there, no one would be willing to perform his job and then we'd all become helpless. Yet despite all this, we don't like him at all and he takes no pride in his work. We all flee at the sight of him and if, God forbid, one fine morning our glance should fall on him in some back alley or on the avenue, we would block our eyes and immediately turn around and get off the streets and go home or back to our job. Yet, no one can be found who does not, sooner or later, have need of his services. Yes, it is the town body-washer who, in my opinion, more than anyone, renders the greatest service to mankind. Majid's letter is a small masterpiece of imaginative reasoning. He holds that although many people work in a dedicated manner towards the service of mankind, it is only the man whose work is to ready corpses for dressing, the body-washer Kal Asghar, who is shunned by the rest of society because of his work. (There is a strong parallel here with the plight of low-castes in India). In spite of this he continues to ply his trade stoically without grudges or complaints. Since, for him and for him alone, work in the service of mankind brings with it not only monetary reward but also the penalty of social ostracisation, his sacrifice is greatest and he is most deserving of this accolade. But for the vice-principal Majid's choice violates all civilised norms. He was expected to make his choice from any one of the conventional options, but instead he has inexplicably chosen as a hero the most marginal and despised figure in society. The vice-principal cannot fathom this alternative scale of values: he asks Majid (who is an orphan, and cared for by his grandmother) "Was your father a body-washer?". Finally he decides this is a attempt by Majid to make a fool out of him before the whole class - this ridiculous essay on the body-washer is really aimed at destabilising the authority of him, the vice-principal. Despite Majid's apologies, he demands to see his guardian the next day, and says he will be rusticated from school. "Granny, you have to buy me soccer shoes." 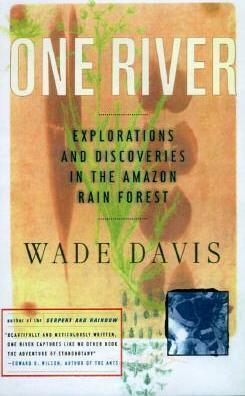 The story is available to read online here, so I will leave you to enjoy it. One last remark: note the subtlety of the story's last sentence, which suggests by its particular emphasis that although Majid has had to truckle to the demands of authority, his defeat is not absolute. Were the story to be filmed (and Mehdi-Kermani has written for the cinema), it is clear that the film would end with a mid-shot of Majid running, moving into a close-up of a certain object. "The Vice-Principal" is itself part of a significant new anthology called Literature From The "Axis of Evil", a selection by the brilliant online magazine for literature in translation Words Without Borders, and published in the USA by the New Press. 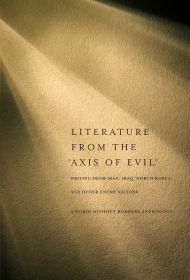 This book brings together stories and poems by writers from countries dubbed the "Axis of Evil" by George W.Bush - Iran, Iraq and North Korea - as well as other nations with which the United States government shares hostile relations, such as Syria, Libya and Cuba. The "Axis of Evil" is an abstraction that obliterates both the very great differences between the included countries, which are not even remotely in alliance with each other, and the distinctiveness of the individuals who live in them. …But it is not the place of this book to provide foreign policy or commentary. Our hope was that with this book we might simply celebrate diverse works of literature and through them, provide fresh perspectives on the notion of "enemy nation"….Literature, at its best, should allow us to see the individual rather than the general; to participate in some intimate way in other lives rather than melding them into shapeless abstractions. Newspapers give us accounts of tyrannical and corrupt leaders, and brave dissidents under trial - the heroes and the villains of the story - yet rarely do we have any contact with the more subtle hopes and ambitions of unique individuals, the oddballs and misfits as well as the "ordinary citizens". Those are very sage words. "The Vice-Principal" is taken from Moradi-Kermani's collection Qesehaye Majid (The Stories of Majid). I also had the good fortune recently of seeing the Iranian filmmaker Dariush Mehrjui's marvellous Mama's Guest (Mehman-e-Maman), based on Moradi-Kermani's novel by the same name. And here are two more pieces from Literature From The "Axis of Evil": "Baghdad My Beloved" by the Iraqi poet Salah Al-Hamdani and "A Tale of Music" by the North Korean writer Kang Kwi-mi. The latter, I guarantee you, will be one of the strangest stories you've ever read, and provides an eerie glimpse of the suffocating and utterly bizarre atmosphere of a totalitarian state. See also these essays: "Art Under Control in North Korea" by Jane Portal, with a superb slideshow of different kinds of North Korean art promoting state ideology, and "Encountering North Korean Fiction" by Stephen Epstein. "...although Majid has had to truckle to the demands of authority, his defeat is not absolute." Thanks to the gift of forgetfulness. And the capacity for easy hope as children. School teachers and principals are as malevolent as anyone else, which is especially unfortunate for the mostly defenseless children. Your regular pointers to and discussion of a dazzling array of writers/writing is much appreciated! Sundeep - Thanks very much for your kind words. I'm glad you like the work. But you have brought my lovely nine-day vacation to an end. As readers of this site well know, I never put up a new post on the Middle Stage until I receive at least one comment for the last piece. Till this happens I happily lounge around watching the news on TV, and making small talk with friends, and drinking chikoo milkshakes in restaurants, all of which I prefer vastly to work. And my considerate readers too take care never to leave a comment unless they absolutely, just absolutely, cannot hold themselves back any longer. As soon as they write, I realise how much they love me, and, even though it goes against my nature, I rush to write another piece just to please them. I'm now thinking of a short piece on L'Hindouisme: les textes, les doctrines, et l'histoire by Louis Renou. That should give me a break till mid-January. i am starting to like your comments better than your posts. so just to get them, i am willing to comment the moment you post - whether it be sober, drunk or french. It's good to know that you watch television, chat, eat and drink. :) The rate at which you put out your reviews and thoughts on books and movies made me wonder (jealously) if you had any time or interest for anything other than reading and writing. Thanks for the link to the stories. The point about the nation state is something I've been thinking about for a while now: how it provides a certain sense of belonging, pride and security but also makes for insularity; and how recently drawn boundaries make us ignore important cultural exchanges that might have gone on before. Hari - I wouldn't blame you. I had no idea of this rule myself till last week, when I made it up in a fit of petulance after receiving no comments at all for eight days. I refused to plan a new post till the earlier one was acknowledged by at least one person, and now I'm scrambling to find something new to write about, as Louis Renou is proving to be more complex than I'd complacently imagined. "...made me wonder (jealously) if you had any time or interest for anything other than reading and writing". I see that, by striking a mightily sober, pontificating tone in my posts, like that of a village elder who has been thinking about the same topic for thirty-four years, I've successfully managed to give the wrong impression about myself all these days. Reading and writing are merely the activities I've assigned myself to give a veneer of order, purpose and direction to a life of rambles, impulses, chatter, camaraderie and comment-replying. But I won't deny that I derive pleasure, even wonder, from a good sentence or skilful characterization, and once in a while even manage to lose myself in my work, much to my own surprise. You're quite right about the nation-state - I couldn't have summarised it better. Swar - I go from woe to woe - first no comments to my posts, and then comments preferring my comments to my posts... Is this why I work from daybreak to dusk, taking copious notes from five or six books all at the same time, and spending enormous amounts of money at the Reliance Webworld formatting posts in Blogger and finding links? I don't quite know what to say to this, as I myself am responsible for this trouble. I will have to think about it a bit. If blogs had an accompanying soundtrack, yours would have The Champagne Polka playing. Don't throw your money at the Reliance Webworld; throw a party instead, and those of us who comment more than once on a post (and pile up the numbers to gladden the heart of any televangelist) will bring veg kebabs along.